There is a conflict (war) between the new energy-efficient zone valves and their thermostat counterparts. It is little understood and lesser recognized. The effect is erratic or non-operation of heating zones, frustrating both heating system owners and their servicemen. 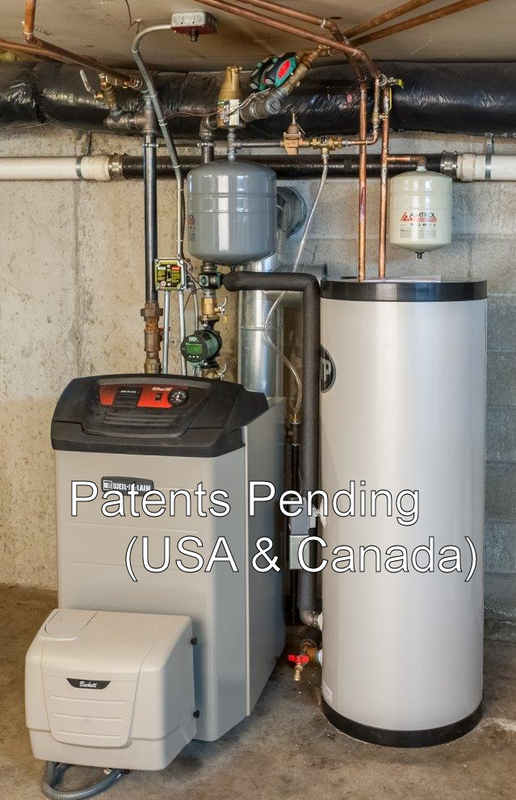 While discussing zone valve application specific to our “Package Delta-T ECM Hydronic (FHW) Heating System™” (Patents Pending – USA & Canada), Taco Engineering offered that there are disparages emerging between some “new generation” thermostats and proper zone valve operation. We were discussing specifically the Taco “Zone Sentry” Valve, a low power usage zone valve featuring extreme energy efficiency and operating life. This conflict is strictly a thermostat product design issue, evolving from the effort to incorporate more and more features into thermostats. The primary function of a thermostat is a “temperature sensing switch” presenting power (24VAC) provided by a transformer to operate a zone valve (or a circulator). The thermostat must also use a small amount of power to warm an “anticipating heater” that “tricks” its switch into closing earlier to smooth heating delivery by utilizing the heat stored in piping and radiation to “fill in” between thermostat cycles. A pure “temperature switch” has a high “hysteresis” or sensing lag and would have noticeable hot and cool periods in operation. A major advantage of the new Taco Zone Sentry Valve is now powering up to 12 valves from a standard 24VAC transformer vs. 4 of the prior generation “Power Head” or “Hot Head” valves as we cynically refer to them. The resulting electrical power savings benefits are dramatic (up to 85%)! Beyond the primary function of heating control modern thermostats incorporate more features that require using more power to execute them. Being effectively non-powered devices as designed they “borrow” additional power from their source 24VAC supply. This has generally worked with common “set & forget” and basic programmable thermostats with a battery backup. However adding features such as Wi-Fi and wireless inter-system controls require more and continuous power demands to maintain these communications features. Taco Engineering is experiencing ever more issues with these thermostats directly operating their zone valves and uses the term “Power Grabbers” in classifying them. Multiple “open” attempts, witnessed by viewing the Green LED Status Lamp, before finally opening. Occasionally the valve will not “close” after the zone thermostat demand is satisfied. The worst condition is the zone valve simply failing to operate upon a demand. First, check your thermostat for correct mode switch settings for your system type, per the manufacturer’s instruction sheet. These are typically on the back of the thermostat, and match operation to your system type. If your thermostat manufacturer provided a resistor with the unit, install it per the instructions and retry operation. Taco otherwise recommends installing a 1.0-1.2 kohm, 2 watt or greater resistor in series with the power (red) lead. This will usually remedy the situation. If not, consult with your thermostat manufacturer to remedy, if possible. Digital Thermostats have selector switches prescribing a fixed “anticipating heater” value for each general system type and are non-adjustable. Thus you will have minor(?) control variations from the “correct” one. Zone Valves in particular require a higher “anticipating heater” setting than circulatory-driven systems, typically 0.5A (Zone Sentry) to 0.6 (Older Zone Valves) vs 0.35A+/- for aquastat/relay drives. This fine tuning is not available in a digital thermostat, thus minor(?) operational variations. Tuning a steam system upgrade to its robust radiation (cast-iron radiators) with a digital default thermostat can become a challenge. In closing we mention several of our customers being true “techies”, two of whom having commercial and home-built Wi-Fi Thermostat or Temperature Monitoring Systems. One recently called from a Hawaiian Job Site advising of an issue in his seasonal home in NH. Saved a potentially disastrous situation. Welcome to the “Digital Age”, but also be aware of its limitations!